Currently, just 4% of patients at Duke with the same type of recurring brain tumors were alive at three years when undergoing the previously available standard treatment. In the current study, the Duke team reported the median follow-up of 27.6 months in the Phase I trial, which was launched in 2012 with a young patient who was just entering nursing school. She has since married and works as a registered nurse. 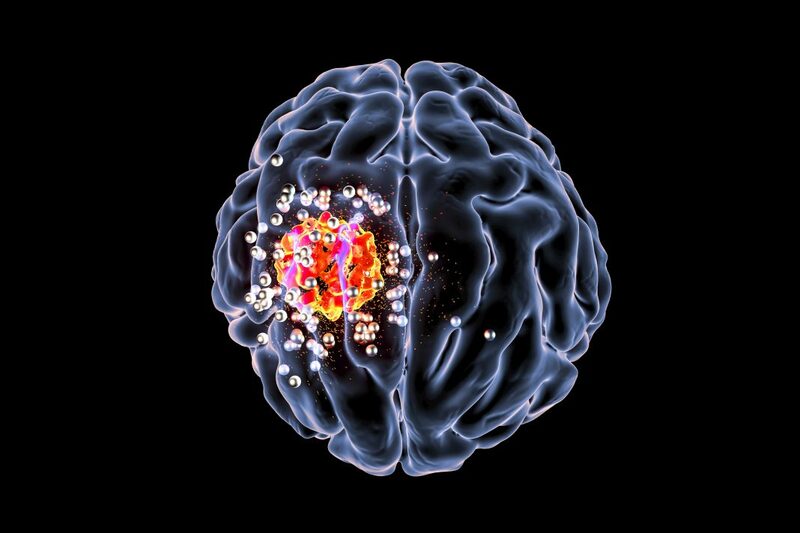 The newly developed therapy includes a genetically modified form of the poliovirus vaccine, which is infused directly into the brain tumor via a surgically implanted catheter. Developed by co-lead study investigator Matthias Gromeier, M.D., in his lab at Duke, the modified virus preferentially zeroes in on tumor cells, igniting a targeted immune response. Dr. Gromeier and his co-authors recently published a study in Science Translational Medicine describing the mechanism of action for the poliovirus therapy. Study participants were selected according to strict guidelines based on the size of their recurring tumor, its location in the brain, and other factors designed for patient protection. A comparison group of patients was drawn from historical cases at Duke involving patients who would have matched the poliovirus enrollment criteria. Initially, the Duke team planned to increase the dosage of the therapy infusion—a safe dose amount is a primary goal of Phase I studies. However, at higher dosages, some patients experienced too much inflammation, resulting in seizures, cognitive disturbances, and other adverse events, so the amount infused was reduced. All but 15 of the 61 patients enrolled in the study had one of the lower dosages. The rate of overall survival of poliovirus patients at 24 months was 21%, compared to 14% for the historical controls. At three years, the gap widened further, with a survival rate of 21% for poliovirus patients, compared to 4% in the control group. Combining the poliovirus with other approved therapies is one approach already being tested to improve survival. A Phase II study now underway combines the poliovirus therapy with the chemotherapy drug lomustine for patients with recurrent glioblastomas. The poliovirus therapy obtained “breakthrough therapy” designation in 2016 from the U.S. Food and Drug Administration.